Visit the quaint town of New Baltimore by boat or car! Visit the quaint town of New Baltimore by boat or car! All within 2 short walking blocks of the FREE daily city docks with ladders, are restaurants, candy shops, boutiques, art, gift shops, books, museum, and more. And, don't forget to bring the family and enjoy our beautiful park with a children's playground, fishing pier, and sandy beach.... all on Lake St. Clair's Anchor Bay. 16 FREE daily city docks at New Baltimore with ladders. To visit the quaint town of New Baltimore by car, we are under 10 minutes off of I-94. Exit 23 Mile Road, head east, and you'll be downtown. Use the corners of Front Street & Washington Street in your mobile GPS to be in the heart of the park! Besides the many fine shops to visit in the quaint town of New Baltimore, you can attend several waterfront events each year including, Art Shows, Vintage Car Shows, Fishfly Festival, Sunday Farmer's Market, Music on the Bay, and winter activities hosted by the New Baltimore Lions Club such as the Winterfest and Ice Plunge into Anchor Bay for charity. 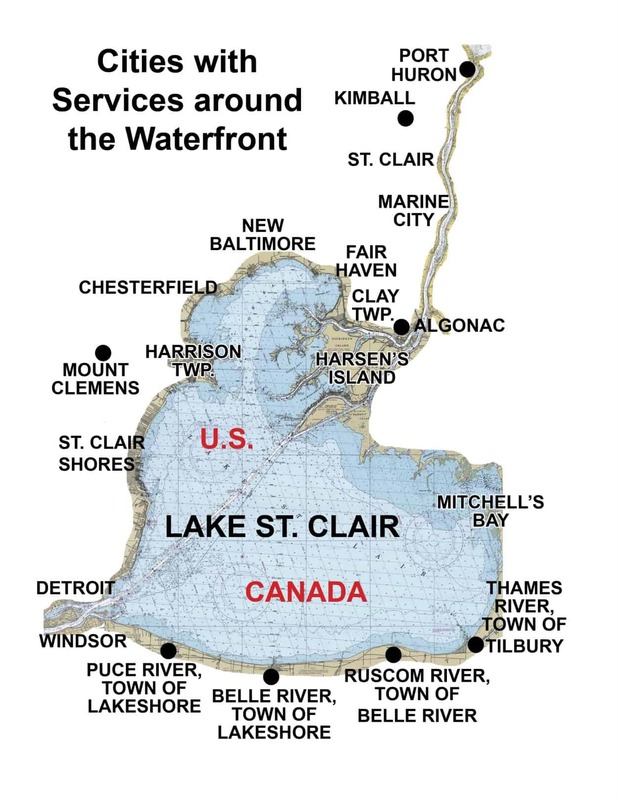 Check out the Lake St. Clair Guide events calendar for monthly updates! Here are some of the local businesses to visit while in town....Click on their emblem for more business details!